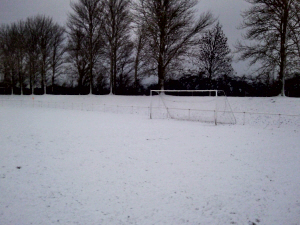 There was no football again this weekend as the snow put paid to fixtures across the Country, stretching from the Herts County League up to the Barclays Premiership. There is reason however for good cheer as the First Team will be enjoying Christmas Day second in the table. The Reserves have high hopes of a top-three slot come the end of the season, their mid-table position will surely improve once all those games in hand have been played, and the Vets have a Herts FA Veterans Cup semi-final in February to focus on. All in all a fantastic start to the season, and a big thank you to everyone at the club for making it so. So enjoy the Christmas break and relax while you can - the job's only half-done - let's make 2011 a year to remember!